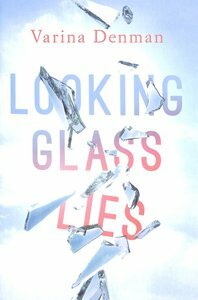 A poignant and relatable novel, Looking Glass Lies captures the war women wage against themselves, and the struggle to see beauty reflected in a mirror not distorted by society's unrelenting expectations. For most of her adult life, Cecily Ross has compared herself to other women-and come up short. After a painful divorce from her emotionally abusive husband, Cecily returns to her hometown of Canyon, Texas, looking to heal. But coming home isn't what she expects. In a town as small as Canyon, her pain is difficult to escape-especially with her model-perfect ex-sister-in-law working at the town's popular coffee-shop hangout. With help from her father, a support group, and an old friend who guides her to see her own strengths, Cecily may have a shot at overcoming her insecurities and learning to love again. The true test comes when tragedy strikes, opening Cecily's eyes to the harmfulness of her distorted views on beauty-and giving her the perfect opportunity to find peace at last. Varina Denman is the award-winning author of the Mended Hearts series, a compelling blend of women&#8217;s fiction and romance. A native Texan, Varina lives near Fort Worth with her husband and children, where she has taught creative writing and literature at her local home-school cooperative. To connect with Varina, find her on the web at www.VarinaDenman.com.